According to the American Dental Association, as much as 5 million dental implants are placed in the United States each year. If you are also considering this gold standard treatment in teeth replacement, you’ll need to gain a firm understanding of the process. Getting dental implants isn’t like getting a dental filling or even a dental bridge. Regardless of how many teeth you are replacing, implant dentistry involves different phases or stages. In general, dental implants can be broken down into two main steps: dental implant placement and dental implant restoration. These are not one in the same, and they both require optimal timing to be successful. What is Dental Implant Placement? The first stage of your treatment will involve placing the implant posts into your jawbone. These are biocompatible titanium posts that need to be surgically inserted into the underlying bone, or where your tooth root used to be. This requires very precise placement, which can be achieved with the use of advanced imaging techniques such as the 3D CT Scanning. In some cases, patients may need bone grafting to build up the jawbone so that it can support an implant. Once placed, the implant should fuse to the surrounding bone during a process called osseointegration. This can take several months, but it is a critical step towards implant success! What is a Dental Implant Restoration? Once your jawbone has fused to your dental implant post or posts, you can move on to the restoration process. 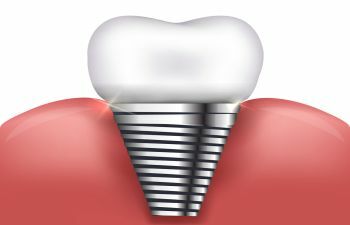 Dental implant restoration involves crafting custom prosthetic teeth and attaching them to the implant posts using abutments. Depending on your personal preferences and how many teeth you are replacing, a dental implant restoration can be a crown, bridge or denture. With an implant securely anchored into your jawbone, the restoration can provide a natural feel and function. Many restorations are made of porcelain or ceramic. They may not last forever like your implants, but they can easily be repaired or replaced with the time comes. Restore Your Smile With Us! When choosing dental implants to replace your missing teeth, you can expect your treatment to take several months. However, there are newer options if you are replacing a full arch of teeth. All-on-4 implants allow treatment time to be drastically shortened in certain cases. At Gilreath Dental Associates, we proudly offer the most advanced equipment and materials when it comes to dental implants. 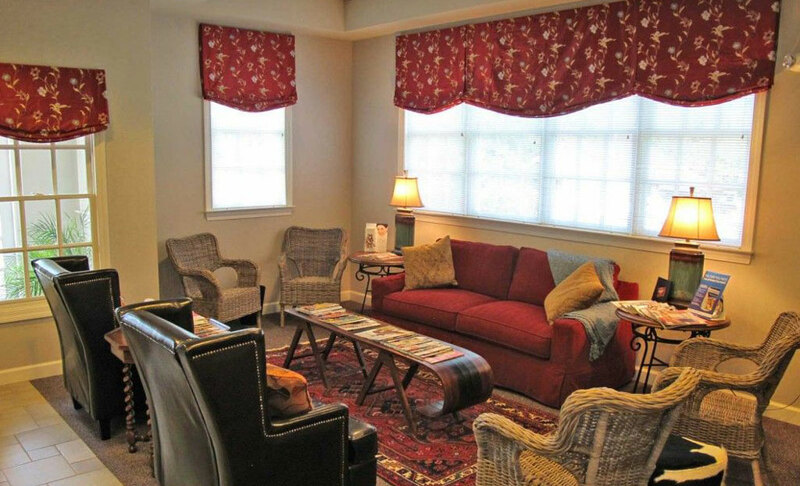 We complete the entire process right here Marietta office. While dental implants are a longer treatment and more costly investment, don’t dismiss the fact that they offer remarkable benefits towards your long-term self-esteem, quality of life and overall health.